This home has been lovingly updated & maintained. Hardwood floors in impeccable shape on main level. Great light throughout. Kitchen and bathroom remodels make the home contemporary while maintaining NW Craftsman character. Heated towel racks. Gas stove in kitchen. Wood stove insert w/ reclaimed wood mantle. Abundant built in storage. Tastefully landscaped, including blueberry, apple and pear. Central, walk-able, South Eugene location! Please, send me more information on this property: MLS# 19407629 – $399,900 – 110 E 25th Ave, Eugene, OR 97405. 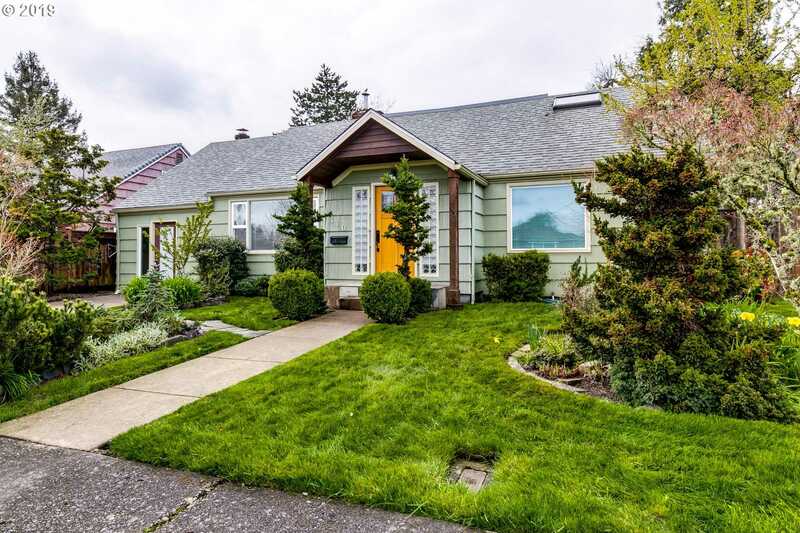 I would like to schedule a private showing for this property: MLS# 19407629 – $399,900 – 110 E 25th Ave, Eugene, OR 97405.